“It’s Harriet’s fault. 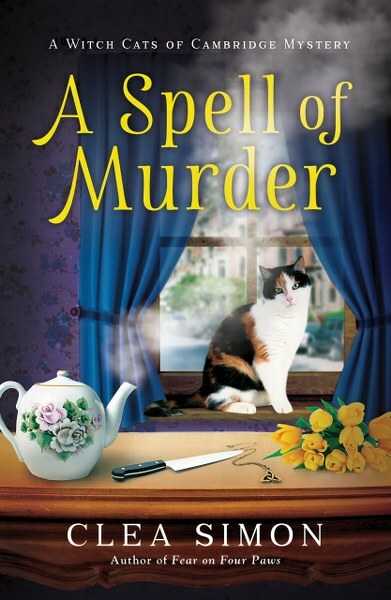 It’s always her fault, not that she’ll ever admit it.” So begins A Spell of Murder: A Witch Cats of Cambridge mystery, the first in a new cozy series that mixes feline fiction with a touch of the paranormal, and a little romance as well. Becca, newly single and newly unemployed, wants to believe she has psychic powers. With nothing but time – and a desire for empowerment – she’s studying to become a witch. What she doesn’t know is that her three cats – Harriet, Laurel, and Clara – are the ones with the real power. And when Harriet – “a cream-colored longhair with more fur than commonsense” – conjures a pillow for her own comfort, Becca believes her spells are finally working. Could that be why Trent, the coven’s devilishly handsome leader, has been showing her special attention? Or why Suzanne, a longtime coven member, draws her aside to share a secret – a confidence that may lead to murder? Clea Simon is the author of "A Spell of Murder," the first in her new "Witch Cats of Cambridge" series. She is also the author of "World Enough," a rock 'n' roll noir, as well as the Blackie and Care series (most recently "Cross My Path") chronicling the adventures of the pink-haired Care and the black feral cat who loves her. 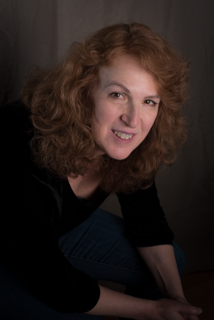 In addition to these darker books, she is also the author of the Dulcie Schwartz feline mysteries, the Pru Marlowe pet noir mysteries, and the Theda Krakow mysteries, as well as three nonfiction books, including The Feline Mystique: On the Mysterious Connection Between Women and Cats. The recipient of multiple honors, including the Cat Writers Associations Presidents Award, she lives in Somerville, Massachusetts, with her husband, Jon Garelick, and their cat, Musetta.